The main reason behind taking the time to create a strategic marketing plan is to help position your company for growth in the following year. The more time you’ve taken to explore your priorities, goals, and objectives, the more likely you are to follow through and actually achieve the goals that you’ve set for yourself and your business. 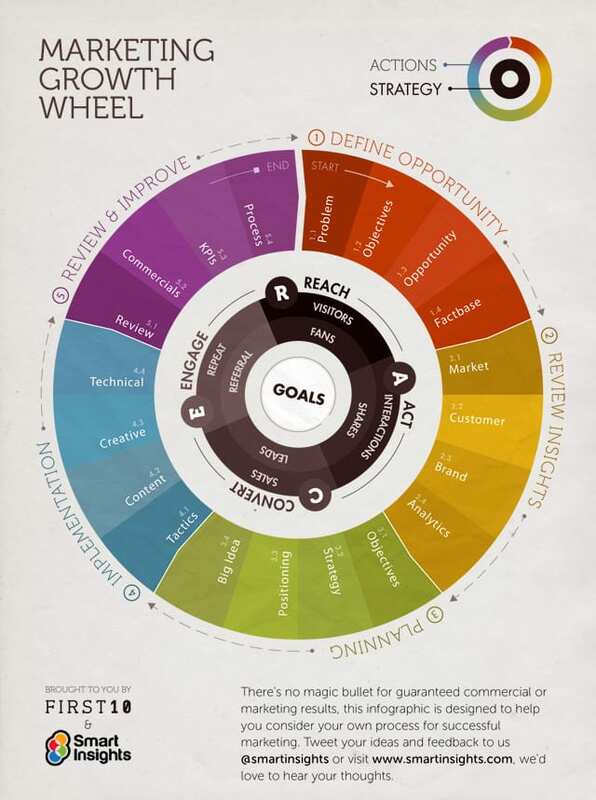 Check out the infographic below of a “Marketing Growth Wheel” and start to map out your processes for growth in 2014! Click the image to view the full graphic. Originally posted by Smart Insights.